There is no time for a breather at the 17th FIBA World Cup just yet, as Day 2 of the tournament rolls neatly on from Day 1. Some players will have the chance to rest and group on Monday the 1st of September, but Sunday the 31st of August provides teams with an early chance of redemption or the chance to bolster their early credentials. We will run through all of the Day 1 results tomorrow but in pulling together a preview for the second day of the 2014 FIBA Basketball World Cup means focusing on the general expectations of the teams involved. Given that teams have been focusing on the start of the tournament for quite a while, you would hope that fitness isn’t an issue at this stage, but there may be a few bruised egos and injuries for teams to contend with. You know that there will be a high level of demand for ice across Spain on Saturday evening / Sunday morning, and it isn’t solely down to the ice bucket challenge or celebratory drinks for fans that have enjoyed the opening day of the FIBA World Cup. The day starts off at 11.30am UK time with the Dominican Republic playing New Zealand in Group C. The pattern for Day 2 is similar to the first day with Spain playing in the final game of the day and Team USA playing in the penultimate game of the day. It is helpful for most teams to play at around the same time on consecutive days, so this makes sense, but clearly the placing of these games owes a lot to ensuring the days end on a high and there are attractive games on when TV and online viewing figures are likely to be high. Again, Spain should have an easy game, allowing them to get up to speed in the tournament without stretching themselves too far while Brazil should also be able to rack up a confidence boosting win against Iran. Any positive result for Egypt or Iran on this day would be very surprising. This means that the game of the day in Group A could well be Serbia and France. 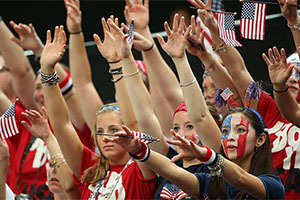 Bwin are offering odds for the outright winner of the tournament if you exclude USA and Spain, and the odds offered on these two teams indicate the closeness of what they offer. Bwin offer odds of 6.00 for France and 7.00 for Ukraine to win when you omit the big two. If you are a neutral looking for a competitively matched basketball game on Sunday the 31st of August, this could be the one that gives you what you are looking for. There is also a strong argument to be made that the game of the day on day 2 of the 2014 FIBA World Cup is to be found in Group B.
Argentina and Croatia are likely to serve up an excellent game, with this match going a long way in determining who comes out on top of Group B. When you examine the odds with the tournament away from Spain or USA, you will find that these two teams are right in the mix. Bwin offers odds of 7.00 on Croatia to triumph in the absence of the big two, while Argentina are listed at 10.00. A win today could see one of these teams going a long way to proving their credentials and living up to these odds. In the other games, Senegal and Puerto Rico could be great fun, two teams who will be desperate to grab points in a game that could make all the difference in qualification. Greece should have more than enough to handle what the Philippines have to offer, but you can best the Seville crowd will be getting behind the underdog in this match. Group C has the potential for some decent games on Sunday the 31st. Yes, Team USA should be too strong for Turkey, but this match is likely to be the toughest group game for the Americans. Finland and Ukraine are both listed at 101.00 to win the tournament excluding Spain and USA by Bwin, so there is clearly a thought that these two teams are evenly matched. 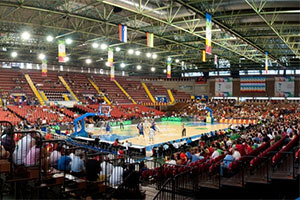 Even the other match of the group, featuring the minnows, is likely to be a game between two basketball teams of a comparable level. Team USA should get over the line, but maybe not without a few scrapes and stumbles, but the other Group C games have the potential to go anyway. The Australians have talked the talk coming into the tournament, can they overcome South Korea and walk the walk? Lithuania should be far too strong for Angola, Slovenia should be able to take care of Mexico and while South Korea will do what they can, the size and strength of Australia should ensure that they get the victory. The Group D fixtures may not be as evenly matched as some of the other groups in Sunday the 31st of August, but there will be plenty more great games to come from this group. On Monday, the teams from Group A and Group B take to the court once again, playing for three days in a row, while the teams from Group C and Group D get to relax for a day. However, these groups are in action on Tuesday the 2nd of September, and will then be involved on Wednesday the 3rd and Thursday the 4th of September, which will be full schedule days. The first proper rest day of Friday the 5th of September may seem like a long way away for some of the players and coaches but it hugely exciting for the fans.